Logix ITS, world leader in traffic calming solutions, has implemented many of its solutions like Speed Cameras and Radar Speed signs on Indian roads. Its highly impactful and revolutionary technology has helped many cities of the country to bring down the speed of vehicles and hence lowered the number of accidents on roads. Prashant Mathur, Country Head feels that having inhouse technologies helps the company to customize the products according to specific requirements in a very effective manner. What key solutions does Logix ITS offer, and what technologies does it use for the same? We, at Logix ITS, believe that most of the accidents on the roads happen because of rash driving and over speeding vehicles. Our primary focus is to develop and manufacture traffic calming products. Our products offer both speed awareness and enforcement. Our main product offerings include two solutions based on two important technologies. While Vehicle Actuated Speed Display which works on the unique radar sensing technology helps warn the driver to follow road speed limit, our speed enforcer cameras work on optical time of flight sensing (Leddar) technology to automatically record traffic violations and generate speed tickets without any manual intervention. Thus, our key technologies are Radar Sensing technology for Vehicle Speed Display and Time of Flight Sensing technology for Automatic Speed Detection and Automatic Ticketing. How has market response to your products and technologies been so far? The response has been above expectations and the product acceptability has grown manifold in the last one year. 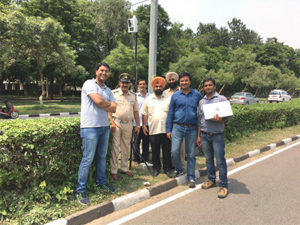 Educating people on the benefits of Speed Calming is no longer required as more and more people and departments are realizing the need of speed control on Indian roads. We also believe that speed challans are not the only vehicle calming solutions. So, unique products like our Radar Feedback Signs play an important role in warning the drivers to control over-speeding. Sadly, India is among the highest contributors to road accidents and fatalities globally. As Indian infrastructure and affluence is on the rise, we think that unless we adapt to new traffic management technologies, the problem will continue to grow. Logix is, therefore, very focussed on contributing towards bringing about this change in India. The acceptance to our products has grown. However, we wish that the pace of change is faster. “As Indian infrastructure and affluence is on the rise, we think that unless we adapt to new traffic management technologies, the problem will continue to grow. 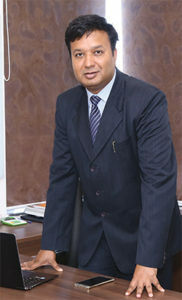 Logix is, therefore, very focussed on contributing towards bringing about this change in India”. Do you have some case studies on the implementation of your technologies in India? 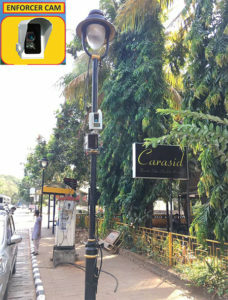 We have recently completed a project of deploying speed display signs and enforcement cameras for automatic ticketing in Kolkata. We have done it along with the traffic police there. We are also in talks with several traffic authorities, NHAI and municipalities for such projects. In addition, we have done projects at Delhi airport, Jaipur city and a couple of highways in Gujarat. Some of the premium industrial and corporate campuses have also bought our technology. What challenges do you face in integrating your products with the other systems? Our strength lies in the fact that our technology is in-house. So, we are very flexible and adaptive when it comes to integrating our products based on the customers’ needs. What are your future plans in this sector? We continue to provide more value from our existing products by adding more features and working on the costs to make them more affordable. We will also continue to bring to India specific solutions in the coming months.